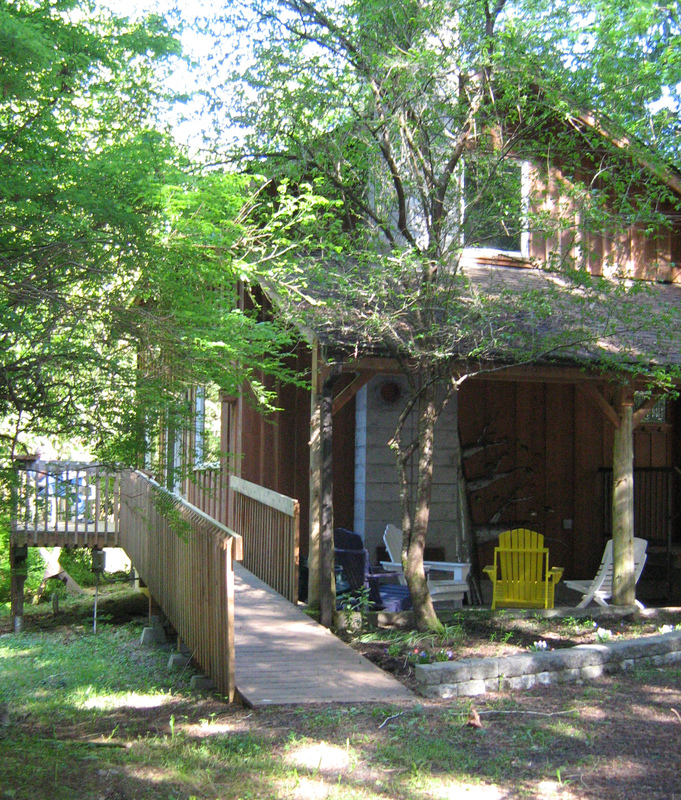 Holly House is the cottage where a guest stays during her residency at Hypatia-in-the-Woods. 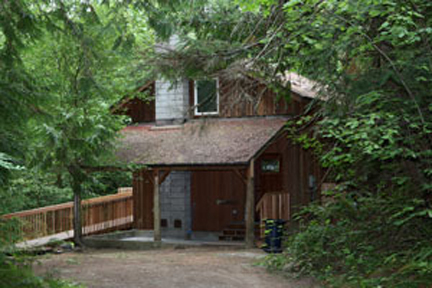 Nestled in several acres of Pacific Northwest second growth forest on Washington State’s Olympic Peninsula, the retreat center provides an ideal setting for women to find solitude and time for their creative work. 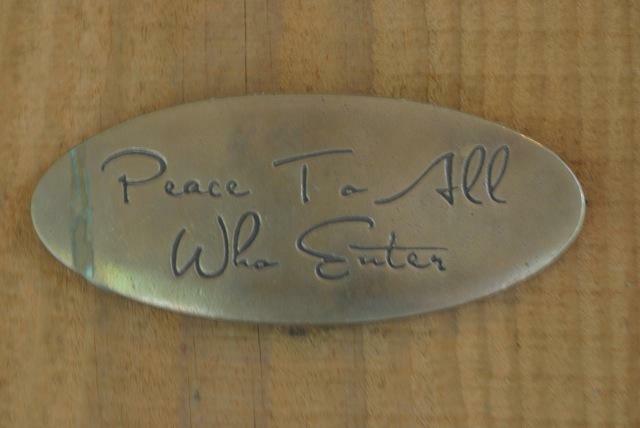 The name, Holly House, honors the memory of Director and Founder Elspeth Pope’s late husband, Jim Holly, who built a simple open workshop with lumber milled from cedar and fir trees naturally felled on the property by winter storms. 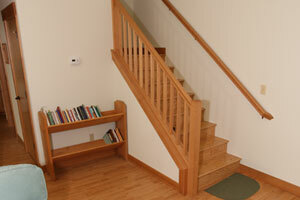 Now completely remodeled, the cozy retreat welcomes women for residencies ranging from one week to one month. On the light-filled main floor, the living room provides a place to work or curl up when a gentle Pacific Northwest rain sings outside. 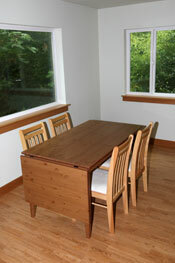 T he expandable dining room table offers pleasant dining, with a view of the woods and glimpses of the inlet, as well as room to spread out during work sessions. 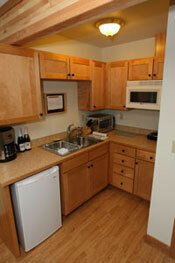 Compact and well-equipped, the kitchen is perfect for residents who have better things to do than cook! The kitchen has a two-burner countertop cooking element, wall-mounted microwave, toaster oven, mini-refrigerator and coffeemaker. 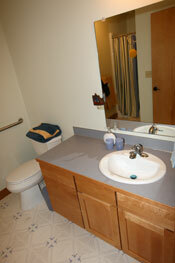 Tucked beneath the stairway, the tiled bathroom features a walk-in shower. 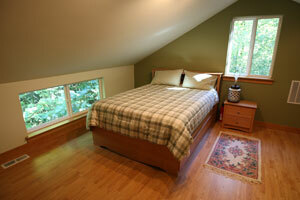 A platform bed was chosen for the loft area for comfort and storage. Drawers under the bed store guest clothes and linens, along with a chest and wall hooks. 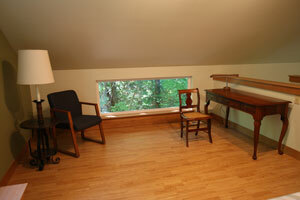 A handsome desk is on one side of the room, next to the window looking out at the greenery. It almost feels like being in a nest high atop the trees. Guests who have difficulty navigating stairs have the option of using the comfortable sofa bed in the living room, as well as access to the cottage via an easily negotiable ramp to the deck and wide sliding door.